Picking or eating berries is a special summertime treat. They’re so delicious and beautiful – think about rich red strawberries, juicy blueberries, and tangy cranberries. Mmm… so good. Berries should also be a part of your diet because they’re loaded with vitamins, minerals, and fiber, plus they’re rich in antioxidants that can protect your cells from free-radical damage. And best of all, they’re low in calories, so they’re perfect for weight-watching diets. Beautiful, delicious, and good for you. Read on to learn more about these perfect nutritional gems. Strawberries are luscious berries that are easy to find in every grocery store year round. They’re also inexpensive and loaded with good nutrition. One cup of strawberries contains over 100 milligrams of vitamin C, almost as much as a cup of orange juice. Strawberries also have calcium, magnesium, folate, and potassium. And they’re low in calories – one cup of strawberries has only 53 calories. Keep them healthy by keeping them simple. Serve sliced berries with a dab of whipped cream and almond slivers. Dip large strawberries in chocolate for a nutritious snack that feels totally decadent. Raspberries are beautiful berries that are best during the summer months when they’re at their peak and most affordable. They’re delicate and don’t keep very long, so use them quickly. Most raspberries are red, but you might find gold or black raspberries, too. Nutrition wise, raspberries are rich in calcium, magnesium, and vitamin C. Plus, they’re low in calories – one cup of raspberries has 64 calories. Blueberries seem to make it to the top of almost every superfoods list. Probably because they’re chock full of antioxidants. Blueberries are available year-round, but they’re at their best during the summer months. They’re also good for plenty of nutrients – one cup of blueberries has lots of potassium and almost 4 grams of fiber. You’ll also get a good dose of vitamin C and only 83 calories. Fresh red or black currants may not be easy to find fresh, but you can find dried currants year-round. Probably the best way to get a hold of fresh currants is to visit farmers markets in late spring. Currants are high in potassium, calcium, and vitamin C, and they’re rich in fiber. One cup of fresh raw currants has around 60 calories. If you find fresh currants, buy plenty and freeze them. Blackberries look like large black raspberries, and they have a tangier flavor. They’re quite good for you because they’re high in calcium, vitamin C, and potassium, plus one cup of blackberries has over 7 grams of fiber about 60 calories. And like all berries, they’re loaded with antioxidants. Blackberries are delicious in smoothies or served with a bit of creme fraiche. Tart but tasty lingonberries are best known in Scandinavian recipes and are often used to make preserves and juices. Lingonberry jam isn’t too hard to find but look for frozen lingonberries online. Lingonberries are low in calories (although they usually need some sugar to overcome the tartness). They’re also high in vitamin C, magnesium, and fiber. Try some lingonberry jam and brunost (brown cheese) on a slice of pumpernickel bread. Bilberries look a lot like blueberries, but they’re not. Bilberries are wild berries that come from the British Isles, so they’re most common in British recipes. Bilberries are also prized for their health benefits due to their antioxidant content. Fresh bilberries may be difficult to find, but you can find dried bilberries online that make a tasty and healthy snack. Cranberries are native to North America and they’re most commonly served during the holidays. It’s fairly easy to find fresh or frozen cranberries in most grocery stores, plus there are lots of brands of cranberry juice. As far as nutrition and health, cranberries are high in vitamin C and they have lots of antioxidants. They also contain compounds that may help prevent bladder infections. Cranberries are very tart so most recipes call for some sugar but there are some savory recipes available. Elderberries are good for you. Elderberries are small deep purple berries and quite tasty. They’re probably most associated with elderberry wine and elderberry syrup that’s used in cough syrups and cold tonics. It’s not easy to find elderberries in stores, but they may show up at local farmers markets. Or you might grow your own elderberries. Elderberries are high in vitamin C, calcium, and potassium, and very high in vitamin A and fiber. Cherries are good for your diet. Technically, cherries aren’t berries because they have inedible pits, but these little red fruits are used in a similar fashion. Cherries contain several nutrients and antioxidants, and dark cherries are an excellent source of melatonin – similar to the hormone that increases in your body as you get sleepy. In fact, nibbling on a small bowlful of cherries before bedtime just might help you sleep better. Serve pitted cherries with plain Greek yogurt or a tart frozen yogurt. Or add cherries to a smoothie with bananas, strawberries, or other fruits. Do you long for a sparkling smile without throwing down big bucks at the dentist’s office? We don’t blame you. Who doesn’t want to flash a set of photo-ready pearly whites? Unfortunately, your teeth can stain over time, shifting from radiant white to a yellowish shade. Wine fanatics and coffee enthusiasts are especially prone to disappointing dulling. Here is a simple solution for a beautifully bright smile. You don’t need to change your beverage preferences or break the bank investing in professional treatments. This simple DIY treatment calls for two ingredients and serves as a wonderful homemade whitener. Follow the recipe, get gorgeous results, and say cheese! Commercially-made teeth whitening products, including dentist bleach, are made with peroxide. Daily use of this teeth whitener can produce beautiful white teeth within a few weeks. Purchase a bottle of peroxide for about a dollar, and watch your teeth go from yellow to white. Regular peroxide use can cause teeth sensitivity, so be sure not to use more than once per day. How could such a ruby-red fruit have a whitening effect on your teeth? 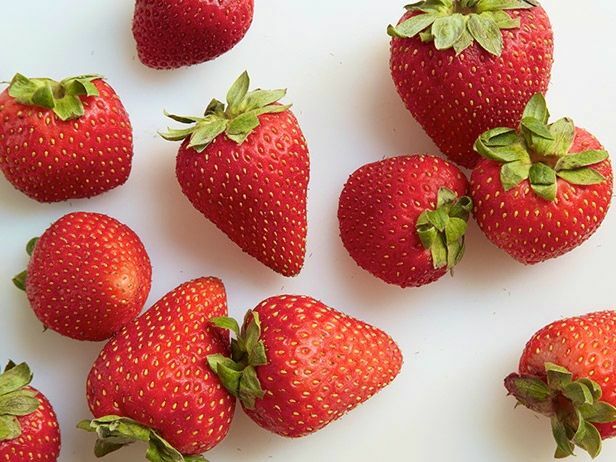 It might seem counterintuitive, but strawberries contain malic acid, a natural tooth-whitening agent. Granted, just because strawberries whiten doesn’t mean they clean! It’s still important to brush your teeth after whitening with the superfood because it contains natural sugar. Baking soda offers a host of teeth-brightening benefits. It removes stains and discolorations from the surface of teeth and contains polishing agents that give your teeth a sparkly-white appearance. Forget whitening strips. For the price of a cup of coffee, you can purchase a box of baking soda and flash a glistening set of teeth in no time! Pour about one teaspoon of peroxide into a cup, being careful not to swallow. Swish around teeth for approximately one minute. This rinsing method is just as effective, if not more so, than whitening mouthwash. Spit peroxide into the sink. Do not eat or drink for one hour afterwards. Crush one large strawberry into a pulp and blend with one teaspoon baking soda. Use a soft toothbrush to spread mixture over areas of teeth you want to whiten. Let mixture sit on teeth for 5-10 minutes. Brush teeth thoroughly with a dental toothpaste. Floss afterwards to remove any lingering seeds or pulp. Rinse once more with water to wash away any residual acid. You’ll sport a shiny set of pearly whites in no time. For awesome results, apply no more than once a week. NOTE: This dessert is low in Saturated Fat, and very low in Cholesterol. It is also a very good source of Vitamin C.
In a medium mixing bowl, add cream cheese, sugar, yogurt and lemon juice, beat with an electric mixer until smooth and sugar is dissolved, about 3 minutes. Refrigerate until ready to use. In a small bowl, combine preserves and strawberries. Add almonds to a food processor and pulse until a crumb consistency, being careful not to turn into flour. 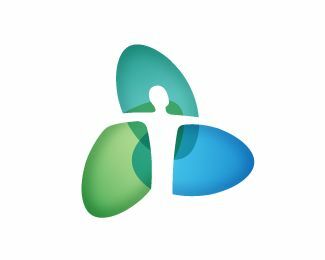 Add dates and pulse until combined. Evenly divide 1/2 almond and date mixture among the dessert dishes. Top with 1/2 cheesecake & yogurt batter, spoon in 1/2 strawberry mixture, add one additional layer of each. Refrigerate 2 -3 hours before serving. These desserts are perfect for preparing ahead of time and enjoying one a day to satisfy that sweet craving. This mini dessert can be placed in a freezer safe dish for enjoying at a later date. Colorful, energizing fruit bowls are always a hit and this Berry Delight recipe is especially delicious. It brings together the perfect combination of fruit flavors and textures – sweet, juicy, tart, and creamy. Add a touch of fresh herbs and you have a winning recipe to savor yourself, or to serve to loved ones. It’s the perfect nutrient-rich summer breakfast, and will give you an energizing and uplifting start to your day. You can also enjoy this recipe as a snack, dessert, or anytime. For something different, try adding in some fresh leafy greens like spinach, butter lettuce, or mâche to turn it into a vibrant salad for lunch or dinner. This recipe couldn’t be any easier to put together. The ingredients can easily be found at most supermarkets and it can be prepared in just a few minutes. 1. 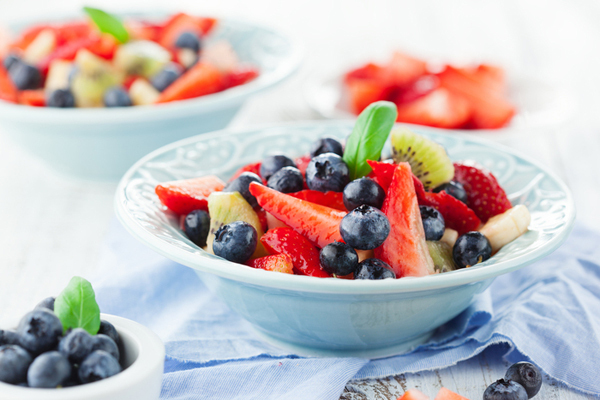 Mix the strawberries, blueberries, kiwi, and banana in a bowl together. 2. Squeeze the juice of the orange or tangerine over the fruit and gently mix. 3. Serve immediately and sprinkle with fresh basil or mint if desired. Eat, smile, and enjoy! Preparation:Blend all the ingredients together until smooth. 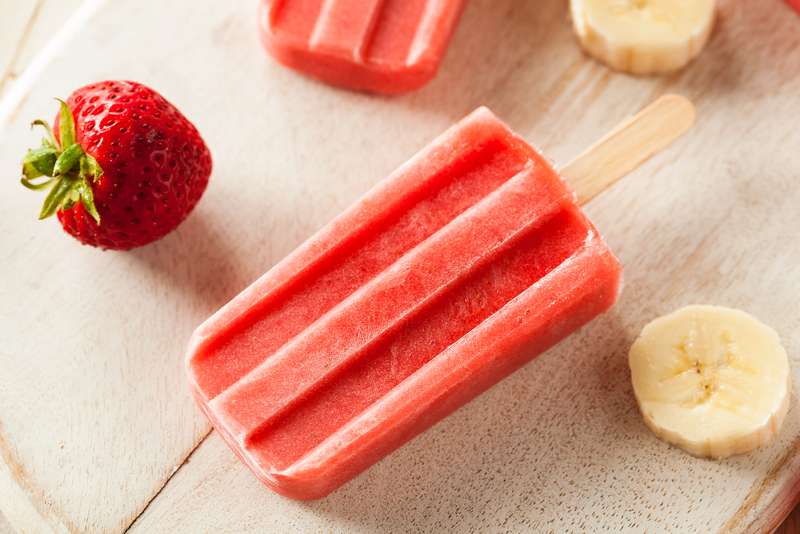 Pour into popsicle molds and add possible stick & lids. Freeze overnight. Eat & Enjoy! Idea: Freeze in ice cube trays for a quick snack or for teething babies. Strawberries are an excellent source of Vitamin C and one cup gives you a days supply of super antioxidants. Vitamin C helps make collagen, which helps skin stay pump and wrinkle free, it can also help and prevent UV related skin damage. Pile them on your foods and enjoy this summer. Remove the feathery fronds from the fennel bulb and chop. Remove the core from the fennel and, using a mandoline slicer or a knife, shave the fennel into very thin slices. Add to a salad bowl along with the arugula and almonds. Drizzle the reduced vinegar over the greens, season with salt and pepper, to taste, and toss until coated. Sprinkle the strawberries and chopped reserved fennel fronds over the top and serve immediately.